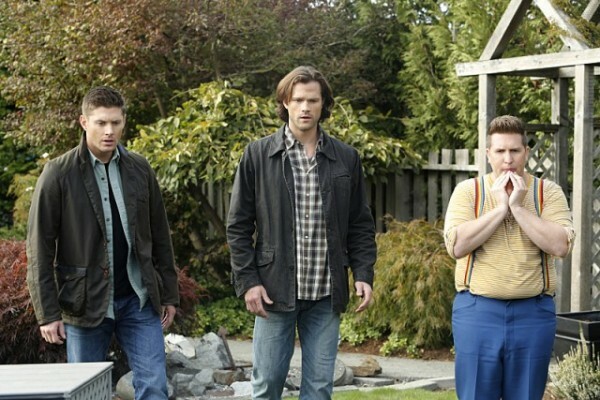 Sammy’s imaginary friend returns for a visit and asks the Winchesters for help. Always nice to see new information about the boys, even after 11 years on the air! Plus, our very own Trickster, Richard Speight, Jr., took the helm as director this episode and did an amazing job. Everything came together beautifully. First off, a shout-out to both the directing and writing for this episode. 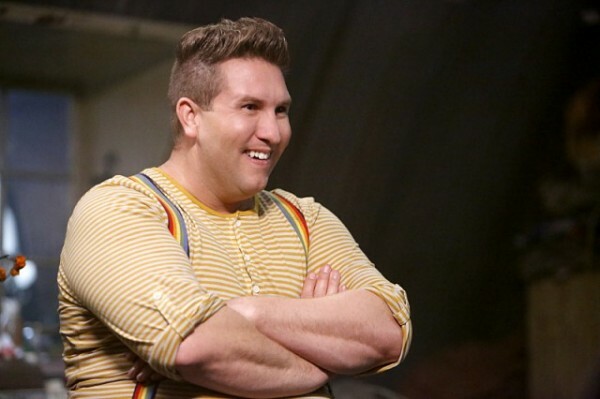 I feel a bit slighted that we got through a whole episode of Richard Speight, Jr. directing and didn’t get some Trickster popping up, but he did a great job with directing, so I shouldn’t complain. And Jenny Klein wrote a great script, with insight and funny scenes that gave us some wonderful glimpses of both small Sammy and where he’s gone since his interactions with Sully. Okay, now onward to the episode itself. Imaginary friends and small Sammy! I missed Colin Ford, but the new child actor, Dylan Kingwell, treated the role well. And we got to see Young!Dean, Dylan Everett, return again along with the Samulet. Continuity is important. I felt so bad for small Sammy when he just wanted to be a part of his family business, but was such a lonely child when he wasn’t included. 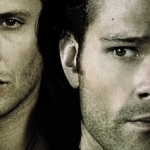 Plus, Sully’s continual attempts to enforce that Sammy could be anything he wanted to be, that he didn’t have to follow his family’s path, but having that advice be rejected. Poor Sully. 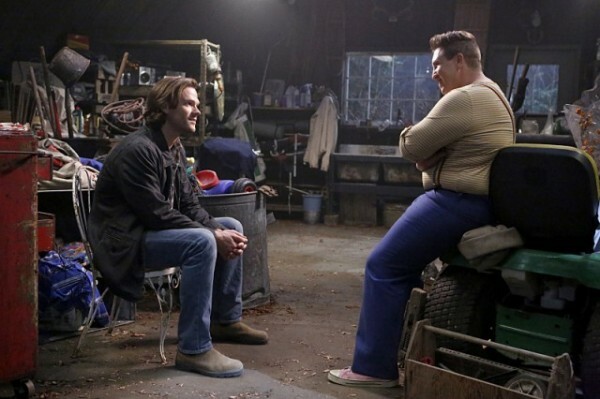 I liked the character a lot, and I really liked seeing the interactions between him and Sam, both when Sammy was younger and now present day. Sully was sweet and kind and tried to do right by Sammy, even when his heart was broken. And I was very happy to see that Dean remembered Sully as being Sam’s imaginary friend without prompting. He’s a good brother! Dean was also adorable getting all worked up over the apparent insane situation Sam was getting them into. “You and me, library, right now!” with that firm tug on his old man robe belt like he meant business. And Sam sulking away like a little kid. These are the kinds of moments that I love seeing on the show. At the heart of it all, this is a story about two brothers. Sometimes they die for each other, sometimes they annoy each other, and sometimes they are just brothers with all the small interactions that make that clear. This episode had some amazing guest stars and some great scenes. Of course, my favorite was the whole situation with Sparkle the Unicorn and his bloody after-death scene. 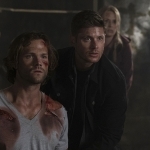 Putting aside the fact that Dean and Sam showed up in sweaters, which is funny in and of itself, that whole scene with the room splattered with sparkly blood and the mother getting it all over her face was hilarious. Supernatural humor, gotta love it. And the little girl, Maddie, is going to be in therapy for years over seeing her imaginary friend all laid out and bloody, and her mother trying to get her to stay in the same room as the dead body. Poor Sparkle, poor Maddie. And poor Mermaid Nicky, too! Though we didn’t get to see as much with her, and I figured she was a mermaid before the reveal, it’s sad that she had to be another death along the path of vengeance. And that Weems had to lose his best girl because of it. He may be alone now, but he can still rock the mullet and has mad air guitar skills. Tying into the overall arc, we got some delving into Sam’s greatest fears of having to go back to the Cage. Sully was very helpful in listening and allowing Sam to see that he can be a hero and step up to the challenge. Sam’s convinced God is sending the visions, but I’m not so sure. I wonder if we’ll get a twist once Sam faces off with Lucifer and learn that Lucifer was the one sending the visions all along. We will hopefully find the answer to that question in the next episode, but for now we can concentrate on the love and happiness that Sully brought to us in this episode. Imaginary friends can be wonderful people.